About 90 per cent of people could benefit from a complete smile makeover, it has been claimed. Cost not surprisingly is the biggest barrier to cosmetic dental surgery according to Teeth Whitening Pro. 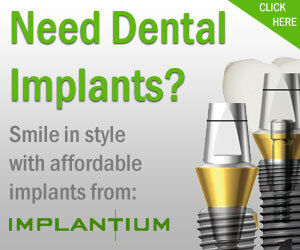 Porcelain veneers are now decreasing in price and therefore are becoming an accessible treatment. Recent innovations using other ceramics is also likely to lead to a lowering of the price. Veneers and laminates resurface the teeth with a thin coating filling in chips and gaps leading to a beautiful flawless smile. Whilst a yellowing/ stained smile is not always unhealthy it can be unattractive. The recent increased demand for veneers is thought to be due to the popularity of television makeover shows, the majority of which feature veneers. Veneers are wafer-thin laminates or shells of tooth-coloured material (porcelain, ceramic or composite bonding material) that are cemented to the front surface of the teeth to improve their cosmetic appearance. Think of veneers in the same way you would think of false fingernails. Veneers work in exactly the same way – in a quick, painless and straightforward procedure they are bonded to the front of your existing teeth, leaving you with a smile that is simply perfect. Damaged and chipped teeth – They get chipped through accidents that can sometimes occur and damaged through decay caused by too much sugary food in your diet. Patients who grind their teeth or have an uneven bite tend to wear their teeth down. Your teeth can be repaired easily with porcelain veneers. They can be matched so that they have the same look and colour to match your other teeth so that you get a look that is natural. Stained teeth – Just like your face ages so do your teeth. Sometimes teeth whitening does not work because the stains are ingrained through food and drink such as wine, tea and coffee or through smoking then dental veneers are an option for you. They are designed to hide any existing stains that cannot be removed by other means and hides any marks on your existing teeth. Crooked teeth – Appearance is becoming more important than ever before. If you suffer from crooked teeth they really can be very problematic. Dental veneers provide the answer when it comes to problems like crooked teeth, . Although dental veneers may not be the first choice for crooked teeth (with correction taking up to a year, or longer with braces) for teeth that are not overly crooked, dental veneers can be placed over the front of of crooked tooth to give a straight appearance. Gaps – Have you ever wanted a more balanced looking smile? The spaces and gaps between your teeth create the balance in your smile and uneven gaps can spoil otherwise perfect teeth. . If you have an uneven gap beetween your teeth it is the first thing people see whenever you open your mouth. Veneers solve this problem by completely closing all the gaps between your teeth. 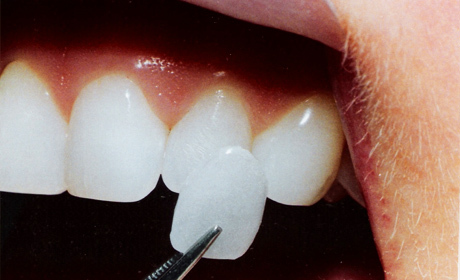 Composite veneers or porcelain veneers. Which should I choose? Porcelain veneers usually last between 5 and 10 years if you ensure that you take good care of them and have good dental hygiene. On the other hand composite veneers might last for a year or two at the most. To make your denal veneers last longer it is important to follow a good oral hygiene programme and also make sure that you visit your dentist for check-ups on a regular basis ideally every 6 months.